Encinitas, Calif. — March 1, 2011 — Oceanhouse Media, Inc. announces the sale of its entire line of Dr. Seuss apps for one week in honor of Dr. Seuss’s birthday and the National Education Association’s (NEA) Read Across America Day. Every Dr. Seuss app by the company originally priced at $1.99 – $3.99 will be discounted by 25-50% for an entire week. Adding to the celebration is the release of the free Dr. Seuss Camera – Happy Birthday Edition iPhone app featuring 11 birthday cards. Using the iPhone’s built-in camera or Photo Library, cards can be personalized with stamps, borders and classic Seussian text, then emailed to friends and family or saved to the Photo Library. Two new Dr. Seuss omBooksTM (Oceanhouse Media digital books) will also be released on March 2 for both Apple and AndroidTM devices. Happy Birthday to You! will be available at a special introductory price of $0.99. This is Dr. Seuss’s joyous ode to individuality, allowing readers to experience firsthand the thrill of celebrating a birthday as it is done in the land of Katroo. The second new omBook being released is the highly anticipated The Cat in the Hat Comes Back available at $2.99 for one week. In this story, the mischievous cat spreads a big pink spot all over the house. When Little Cats A through Z are invited too, will they be a help or a hindrance? The NEA’s Read Across America Day is an annual reading motivation and awareness program that calls for every child in every community to celebrate reading on March 2, the birthday of beloved children’s author Dr. Seuss. Since releasing their first Dr. Seuss app, How The Grinch Stole Christmas!, just 15 months ago, Oceanhouse Media has seen seven of its Dr. Seuss omBooks reach the top spot in the Books category on the App Store. Other Dr. Seuss omBooks recently released include the popular Horton Hears A Who!, and the chart-topping Fox in Socks and I Can Read With My Eyes Shut! The fine folks over at Oceanhouse Media have just announced their two latest releases: The Berenstain Bears Love Their Neighbors and one of my favorite books, and movies to be honest, Dr. Seuss’s Horton Hears a Who! Horton the Elephant hears a small speck of dust talking to him. It turns out the speck of dust is actually a tiny planet, home to a city called Who-ville, inhabited by tiny inhabitants known as Whos. Their Mayor asks Horton to protect them from harm, which Horton happily agrees to do, proclaiming throughout the book that “even though you can’t see or hear them at all, a person’s a person, no matter how small. 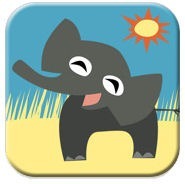 Oceanhouse Media has set the standard for interactive books on mobile devices with their line of omBook apps. Just like with all their other offerings, these newest editions to Oceanhouse’s library will educate and entertain young children and inspire and delight their parents. Both The Berenstain Bears Love Their Neighbors and Dr. Seauss’s Horton Hears a Who are now available in the App Store. Rudolf the Red-Nose Reindeer comes to the App Store! Oceanhouse Media, Inc. has announced the release of Rudolph the Red-Nosed Reindeer available for the first time as a digital book for the iPad, iPhone and iPod Touch. Encinitas, CA – The holiday classic is now available on the App Store for an introductory price of only $2.99. This universal app can be used on the iPad and iPhone for no additional charge and includes special high-resolution graphics for Retina displays. Rudolph delivers the message that there are no misfits in life, for everyone has a special quality to share. As the story opens, Rudolph is outcast for his shiny red nose. All the other reindeer make fun of him and won’t let him play in their reindeer games. But when Christmas is almost cancelled because of a huge snowstorm, Rudolph comes to Santa’s rescue. His glowing nose lights the way, enabling Santa to deliver toys to all the little girls and boys! Rudolph the Red-Nosed Reindeer digital book includes background music and audio, enlarged artwork for each scene, and even audio clips from the timeless TV special! To promote reading in young children, individual words are highlighted as the story is read. Word associations, professional narration and animated effects—like snow and Rudolph’s glowing nose—keep children engaged in the reading experience. By combining the original text and beautiful artwork with features that entertain and promote reading, this digital book appeals to readers of all ages. Oceanhouse Media, creators of the award-winning Dr. Seuss, Berenstain Bears and Hay House apps, have recently seen seven of their digital books reach the #1 rank for paid books on the App Store. 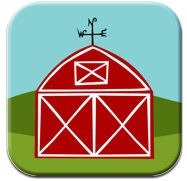 For more information on these products and direct links to the App store, please visit the Oceanhouse Media website. Yet again, Oceanhouse Media brightens my week! A Dr. Seuss favorite “The Sneetches” is now available for the iPad, iPhone and iPod Touch as an eBook! Features available include professional narration, background audio a digital artwork, bringing each scene from the classic book into a new age. To help promote early reading, each word is highlighted as the story is read, along with words that zoom up when the pictures are touched. Highlighted by 3 ways to enjoy the book; Read to Me, Read it Myself, and Auto Play, this eBook appeals to readers of all ages! It’s Green Eggs and Ham 50th Anniversary – Go buy and app!! 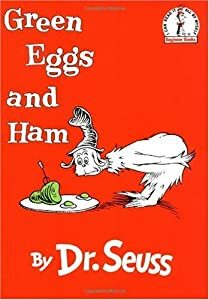 “Do you like green eggs and ham?” was first asked 50 years ago, on September 12th, 1960, and came from a bet between the author and his editor. Now, in 2010, not only can you go out and buy the book and read it to your child, your child can listen to being read to them, while interacting with the images in a way that no one could have ever imagined when the 50 word story originally hit the stands. Oceanhouse Media, Inc are the people to thank, for bring the genius of Dr Seuss to the “iBaby Generation” as an app for the iPhone and iPad. I’ve written about some of the great apps that they have brought us, allowing for a reintroduction of our favorite Dr Seuss stories on a whole new medium, so why post again? To bring attention not only to the Green Eggs and Ham app, but to bring attention to all 17 Dr Seuss related apps from the geniuses behind Oceanhouse Media, Inc, because they are dropping the price of their award-winning apps by 50% for a limited time starting today! Each interactive eBook combines the beautiful original artwork of Dr. Seuss with innovative features that promote reading in young children, including highlighted picture / word associations, professional narration with word highlighting and custom background audio. 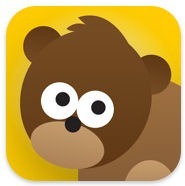 These apps have won numerous awards from Parent’s Choice Foundation and Children’s Technology Review and have received critical acclaim from users and journalists worldwide. Dr. Seuss Camera apps allow users to create unique and whimsical photo cards using the iPhone’s built-in camera or Photo Library. Users can pose with or choose to become characters from the books. Cards can be personalized with comical and colorful stamps, borders and classic Seussian text and then e-mailed to friends and family or saved to the Photo Library. Three addictive Dr. Seuss games are available. Up With A Fish! is a fun kid’s stacking game in which players help the Cat in the Hat stack falling objects atop his tower of fish bowls. Lorax Garden allows kids to design and build their own trees and flowers in real-time 3D in order to repopulate the world’s Truffula tree forests. And Grinchmas is a fun, casual game of skill and accuracy, which topped the charts in the App Store last holiday season. Finally, the Dr. Seuss Senders app contains 100 cards with fun Seussian quotes and sayings that can be sent to anyone in need of inspiration, cheering up or just a smile for the day. Greetings from categories such as love, get-well, congratulations, etc. can be saved to your photo library or emailed to your little ones, grandkids, co-workers, parents, teachers and friends. For less than the price of a single, paper greeting card users get the entire set of 100 Dr. Seuss Senders in a single app. If you’ve read my reviews before, you know I can’t suggest these apps enough. 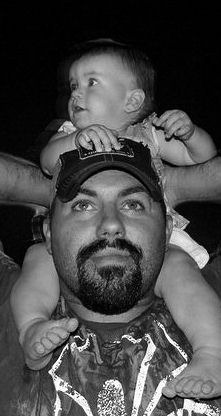 I love them, not only for me but for my kids, and my niece and nephew, and the time I’m able to have with each of them playing around with these apps, reading the stories and interacting with the images. As an added bonus, have found its turning into a gateway to getting kids that have played with the apps, to want to sit down and look at the “old-fashioned” paper bounded books that we all grew up with. For more information on these products and direct links to the App store, please visit http://www.oceanhousemedia.com/drseuss.